Pepcom seems to be our event this year as we've brought back to the cave a slew of products after each trip. 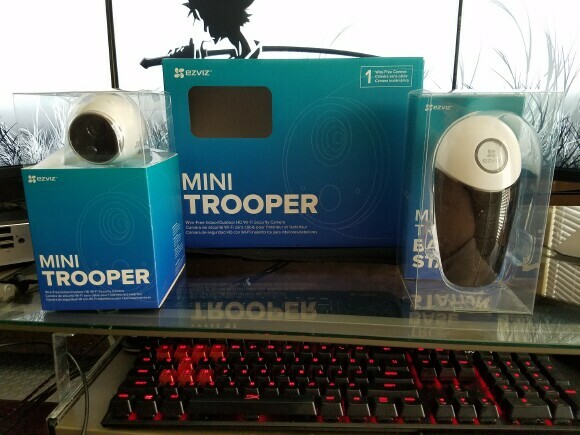 And thanks to Valkor's Digital Experience visits, we're finishing up the year with a bevy of EZVIZ products starting with the Mini Trooper. It's a fully wireless, yes I mean wireless, as in theree's no need for outlets, 720p security camera with the flexibility for almost any environment. The Mini Trooper comes with a starter kit that consists of two pieces: the camera and the base. The camera is white, egg-shaped, and about the size of a fist. The camera has a simple operation with only a two buttons design: top to sync with the base and bottom for installing the four CR123A batteries. The rear of the device is an inverted dome allowing any angle possible from the 1/2 dome mount. I found out quickly that my balcony and window frames are magnetic, rendering the metal mount a lovely paperweight. The magnet on the rear of the mini trooper is strong so it will probably dent or scuff your drywall if you plan on using the metal bead inside the corners. If your needs require a non-magnetic surface, the base does come with all the appropriate hardware for mounting. The base station is shaped like a cicada; its two wings act as an antenna when lifted, offering dual-band frequency (2.4/5G) of up to 300’. And, positioned where the head would be, is the sync button/indicator ring. Since this is where all the data is handled, the Mini Trooper base has a slot for MicroSD (max = 128 GB) on the side and Ethernet port for a tail. If you’re putting it at a location where Ethernet isn’t available then no worries, it does work wirelessly, as the camera connects via 2.5 GHz and the base connects via 5 GHz to my router, when available. Just to make things clear, unlike the camera, the base does need to be plugged into an outlet. 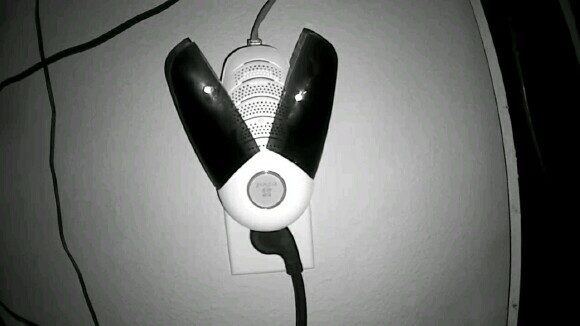 I've installed multiple EZVIZ cameras on my system. While hooking up the Mini Trooper was a simple setup, it did require a few extra steps. And having it located near my router helped a lot. 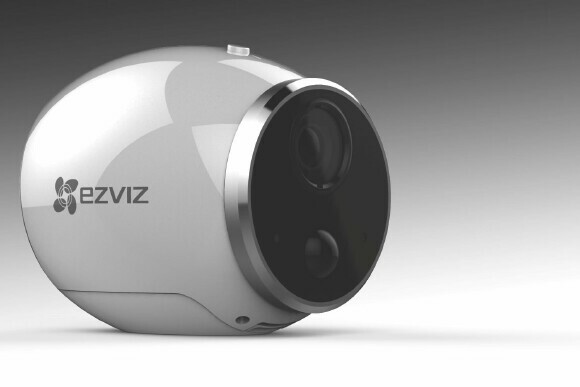 So, in order to begin, the EZVIZ app is needed, which you can get from Google Play or iTunes stores. After creating an account, on the top right, press the + to add a new camera and scan the barcode located on the Mini Trooper base near the prongs of the outlet. Once the base attaches, here is where it differs from installing a regular camera; the app kicks off with start screen where the stock password is given. Copy it down or press the clipboard button. Once all the information is copied, the next button will bring you to the front page for the base; this is where you paste the password and begin working on the setup. In reality, you’re doing nothing more than changing the password and setting up your home Wi-Fi. After that’s complete, connect the camera, which is as simple as pressing both the base and camera sync buttons and you're done. On the app, you will see the base screen grayed out. Once you click on it, it will open up a sub menu showing you your connected camera and empty slots for five more. If you need to troubleshoot the base does have an indicator ring to notify you if there’s trouble. I have only seen three colors (red, blue, and green) and for a brief moment, I did see white. But it only occurred once. However, green is good to go, a solid blue means there is no internet, a blinking blue means re-insert the SD card and red means we’ve got a problem. 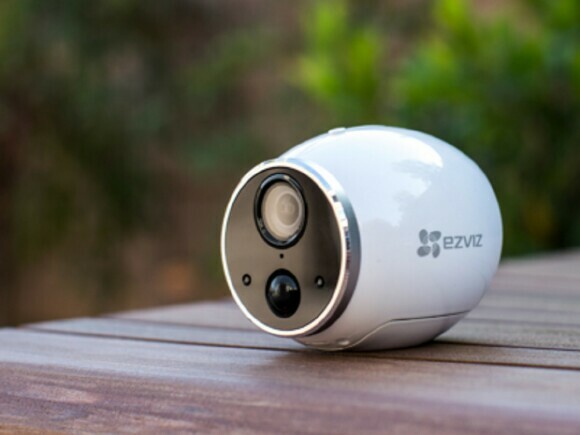 The Mini Trooper runs on four CR123A batteries, which is no easy feat; EZVIZ claims that its camera can last up to nine months, recording 5 minutes of video daily. This is due to the PIR sensor picking up infrared triggers, not actual motion image triggers, which are important to consider when mounting. 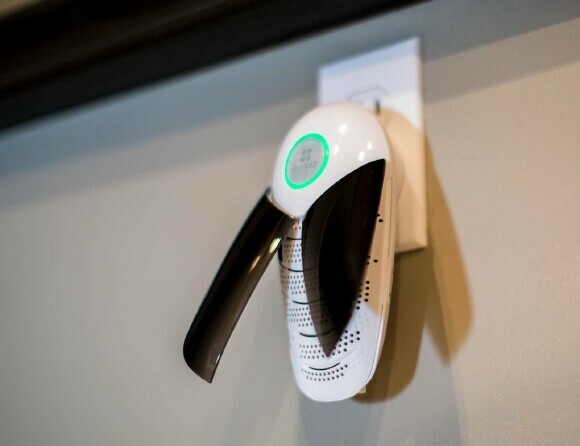 When using it outdoors or facing outward, putting it behind glass or thick brush will make the PIR sensor ineffective, while facing out to a lot of traffic, including foot, will kill your battery life to mere days - or in my case forty-eight hours. There are a few things to consider about the Mini Trooper; the outer shell is IP65 rated, which means, it can handle the rain but not a direct blast from a high power hose or submersion. I would also consider bringing them in on windy days and hurricanes. While the magnet is very strong, since it isn’t bolted down, I could see those little buggers making incredible projectiles. Moving indoors works just fine as the battery cover is flat enough for sitting on a shelf or desk. However, I did have to point it away from an old oscillating night vision camera since the Mini Trooper would be triggered by the rotation. The base station does give you a good distance to work with, especially when the wings are placed up. But I would recommend putting it in a fairly dry place and a good line of sight towards the camera(s). I've tested the base by moving it to various outlets. And just like with Wi-Fi, a wall will bring it down 15-25%. I will also include that the max distance I tested from camera to the base was about 125’. For the price, the ease of setup, and the ability to expand to up to six cameras, I applaud EZVIZ on a fine job they've done with the Mini Trooper. While it's only 720P, video quality is exceptional! When I first started using the Mini Trooper, I didn’t think there was audio available. However, I was genuinely surprised to clearly hear just about everything that was going on in the video. Next, the PIR sensor does cut down on false positives that you would normally get from moving trees and such. Installation was a breeze and day-to-day usage was simple as well. 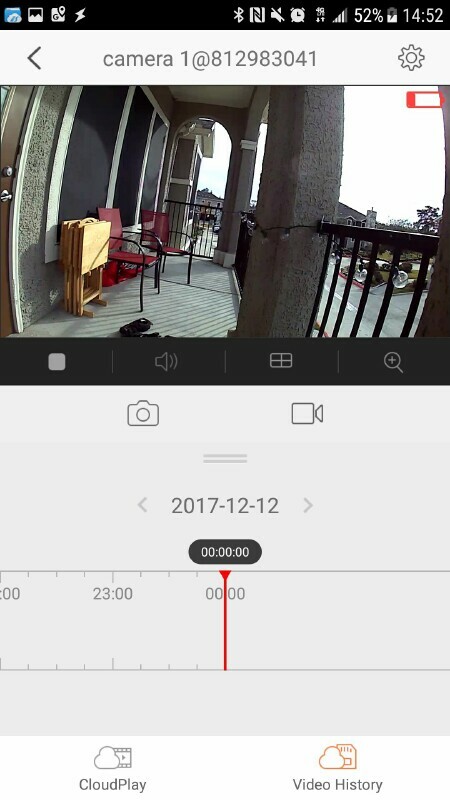 I honestly hope EZVIZ updates the firmware in the base to include backing up the regular mini-series cameras as it would be a lot easier on my system having all the cameras connecting to the base rather than taking up bandwidth on my router. Or maybe it’s time I upgrade my router. 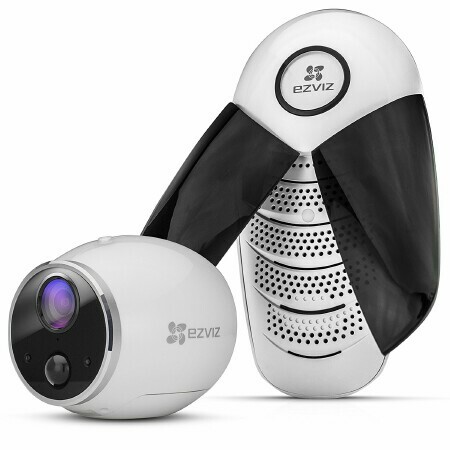 Regardless, EZVIZ gets props for piecing together a fine security camera with the Mini Trooper. Before purchasing the Mini Trooper, please keep in mind that the camera requires maintenance in the way of battery replacement, which can be rather costly in the long run - especially if you plan on purchasing six Mini Troopers. And depending on where you place it (or them), you'll be climbing a ladder every couple of months to swap out the batteries. Also, note that car headlights can trigger the camera; during the rush hours of my neighborhood, it was constantly running consuming the battery life to nil with the quickness. But once I did a little adjustment and installed a firmware update, it became less of an issue. I'm still consuming a lot of battery power but (as of this writing) I’m on day three and its holding at 82%. I didn't mention it above, but the EZVIZ Mini Trooper does work and connects with Amazon Alexa, which would allow you to turn on/off alerts as well as other tasks. In the end, the Mini Trooper works really well, with great video quality. However, it's the battery life that doesn't sit well with me. 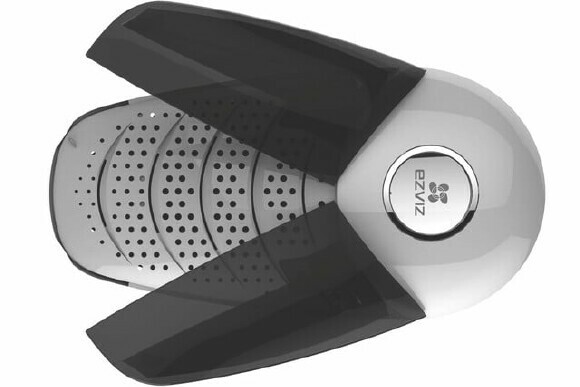 So, after TOV 5 stars, I'm giving the EZVIZ Mini Trooper Wi-Fi Camera a 3.